The gods were on our side as we made our way from Colombo via Mumbai to Delhi (India), no delays, a smooth connection by bus from Mumbai international to Mumbai domestic airport and clear skies with little mist as we arrived - with very little sleep that is - around 5 AM in a nocturnal Delhi. We were greeted by the Wild World India team at the airport, picked up our friend Sander Smit from his hotel and headed straight for Sultanpur Reserve, where we arrived just before the gates opened at 7 AM, isn't that perfect timing?! Our guide Sanjay Sharma proved himself as one of the more knowledgeable local guides I've ever birded with and flawlessly he picked out every call, identified wagtails to subspecies level and made no mistakes identifying Aquila eagles from different age-groups. It was a real pleasure birding with the guy and over the course of the day we saw no less than 133 species of which more than 50 were new for the Biggest Year List. 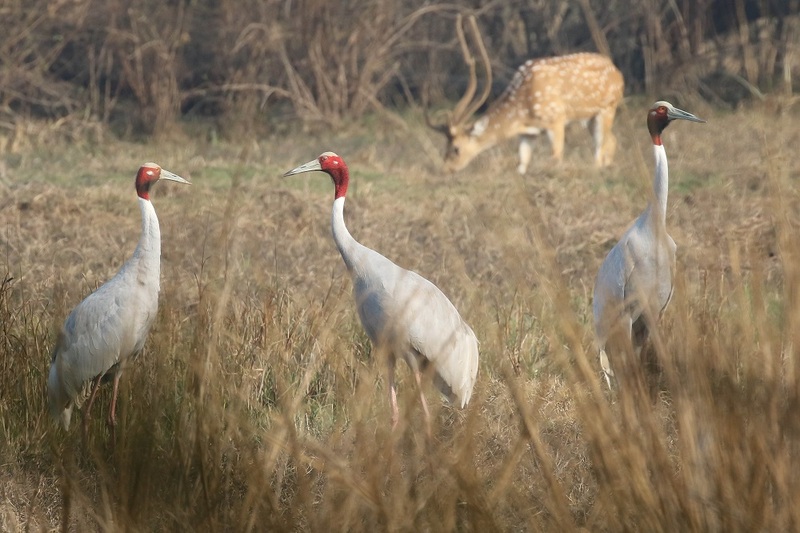 Sultanpur NP is magnificent and literally packed with waterfowl, thousands of ducks, painted storks, cormorants and egrets made for quite the spectacle! 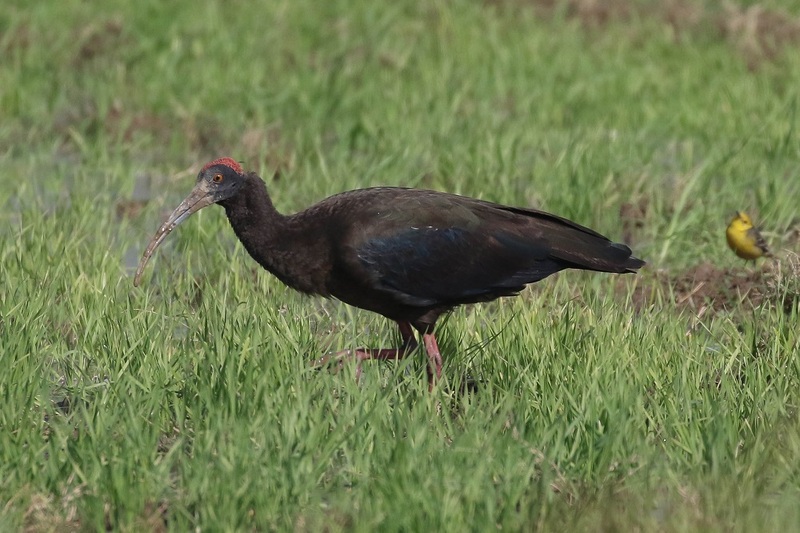 Highlights inside the only 1.5 km2 large reserve were nesting Black-necked Stork, Eastern Imperial Eagle, White-tailed Lapwings, an adult Greater Spotted Eagle, Besra, a smart Moustached Warbler, the rare Brook's Leaf Warbler and the range restricted Sind Sparrow. After lunch we headed into the countryside where birding proved just as productive. 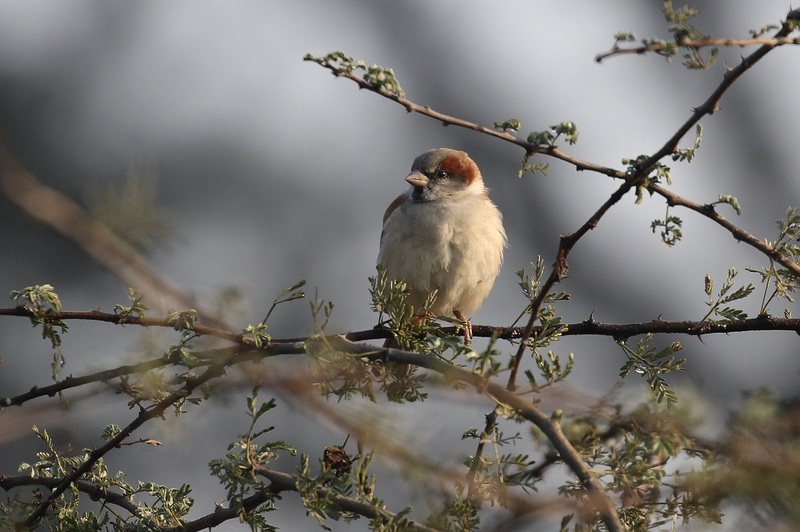 4 Sarus Cranes, Steppe- and Indian Spotted Eagle, Red-naped Ibis and many larks, pipits, wheatears and other arid-country species were added in quick succession. We were picked up from Ramnagar train station at 5 AM and after we'd dropped off our luggage and had a chai at The Denn resort - a scenic place overlooking the Kosi River - we were off birding in the Corbett buffer zone with the best birder the region has to offer, Hari Lama. As expected our first day in the Himalayan foothills was big, but we were not expecting this madness. 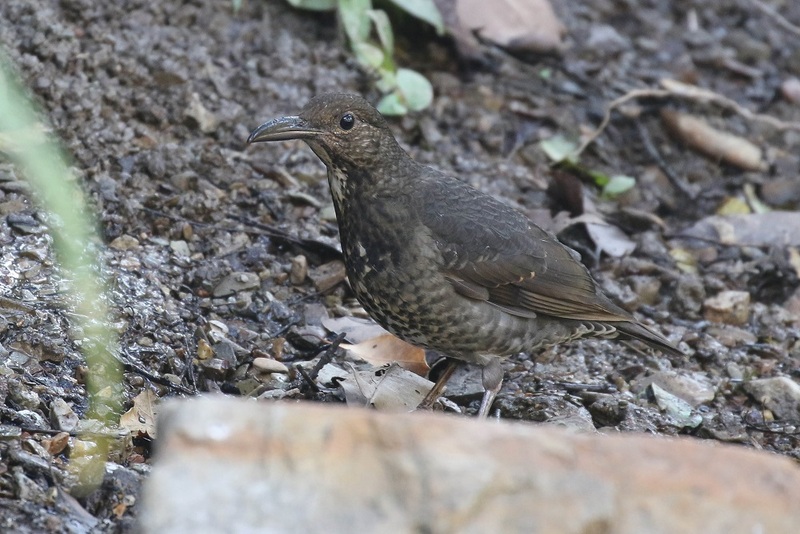 New birds kept pouring in and among them were such mouth-watering species as Nepal Wren-babbler, Long-billed thrush, Little Forktail and Chestnut-headed- and Grey-bellied Tesia. Another great sighting was a wild Asian Elephant dust-bathing on the dry riverbed below us. You could see local villagers washing and bathing several hundred meters downriver and it wasn't hard to understand that sometimes these situations lead to conflict. After lunch Lama took us to a stakeout for Ibisbill, one of the absolute most-wanted species for Sander and Max who had never seen it before. It took some time, but eventually we found this Holy Grail feeding 20 meters away from us. 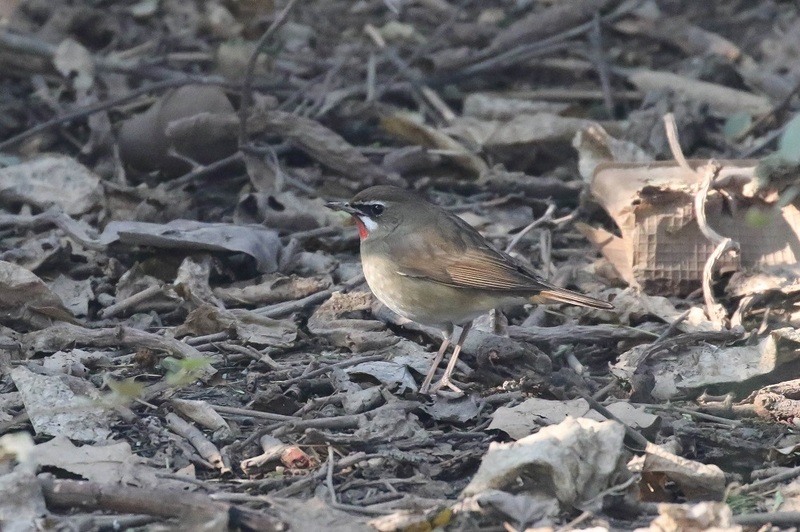 In a euphoric state we walked back to the van when suddenly a male Himalayan Rubythroat popped out from under a bush, what a fantastic ending to a huge day and another 62 species could be added to the grand end total. We started the day off with a dip, Tawny Fish Owl. The stakeout where I'd seen this huge owl 10 years back failed to deliver and unfortunately for Max and Sander we needed to head towards Pangot so we would arrive there in time for the afternoon session. 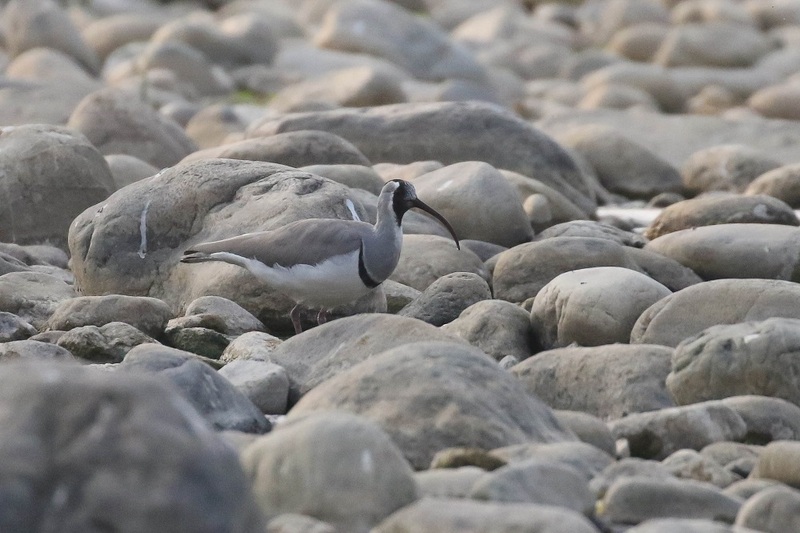 As we birded our way up into the Himalayan foothills almost every feeding flock we encountered contained new species and by the time we arrived at the very scenic Mountain Quail lodge we had added more than thirty new ones to the grand end total. Dusk had already set in when we had the finest sighting of the day, a magnificent Brown Wood Owl that was being mobbed by a Large-tailed Nightjar! At 6:30 AM we drove up to the Cheer Pheasant-site, an area with steep grassy hillsides with stunning views of distant snow covered Himalayan peaks. An iconic setting for an iconic bird. After another hour of waiting and a detour that produced a small flock of the uncommon Brown Bullfinch, Sander and I wandered a bit down the road when suddenly a bizarre and very loud call - unlike anything I'd ever heard - echoed across the mountains. We figured that a sound so bizarre could only fit a mega-bird and surely Max and Lama - who stood 150 meters away - were frantically pointing at the hillside above us. And there it was, the undisputed king of this part of the Himalayas, the Cheer Pheasant! Moments later we watched the Pheasant through the scope as it crept down the hillside, exactly as in our dreams the night before. What a sighting and definitely the highlight of my Biggest Year so far. We survived the night on the road, but since we'd arrived about 1 in the morning and last nights' diner had caused some major disturbance in my stomach, I was feeling a little wobbly this morning to say the least. Luckily we were in the very capable hands of Ikrar Bablu Khan (babluknp06@gmail.com), Keoladeo's most knowledgeable bird guide. Despite the fact that now and then I had to crawl behind a bush we were gradually picking up new species in this man-made oasis. But like I said birding was good and we managed fantastic views of northwestern Europe's most desired vagrant, the Siberian Rubythroat. Best however was a totally unexpected flock of 4 White-bellied Minivets, a rare and difficult to find nomadic species anywhere and a vagrant to the park! We put an end to the day a little earlier than usual as I seriously needed to take some rest, so I would be my old self again next day, when we would visit one of India's most threatened ecosystems. 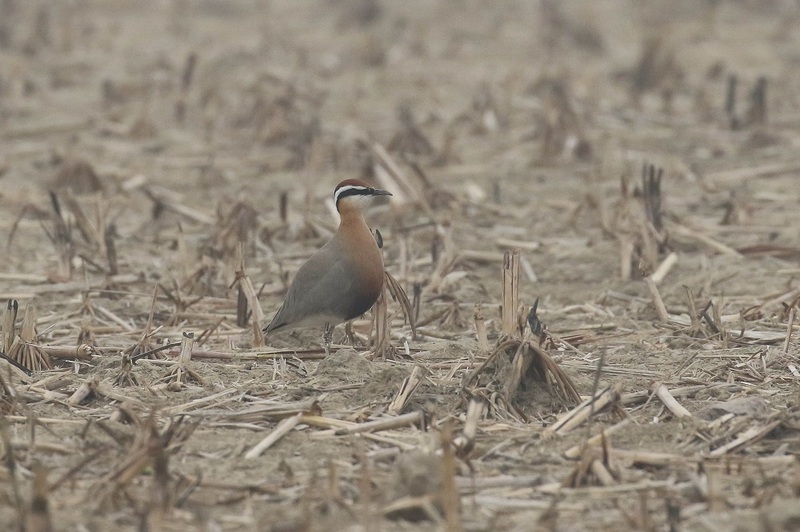 First on the agenda this morning was a highly desired open-country species, the Indian Courser. Bablu took us to an arid farmland area somewhere outside Bharatpur. While we were looking for coursers I kept myself busy by checking large flocks of Short-toed Larks with my scope, this proved a fruitful decision as I picked out two vagrant Bimaculated Larks. After Max took some record-shots we continued our Courser-quest and half an hour later we were looking at 3 of these most delicate looking waders. After we checked out at the wonderful Birder's Inn - I can highly recommend this place to any visiting birder - we headed for the Chambal River. This river is one of the last remaining refuges for some of the subcontinent's most endangered animals, since many if not most of India's rivers are so severely polluted that only bacteria can survive in them. 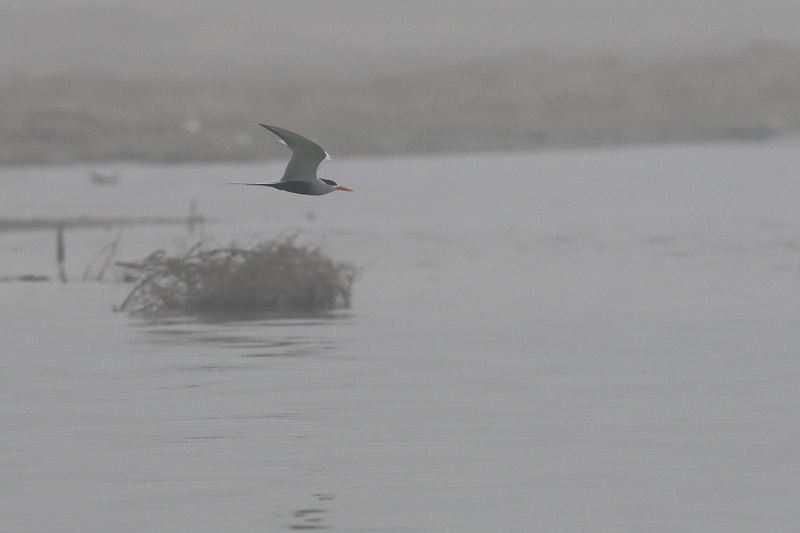 Upon arrival we were shocked to see that even the shores of this sanctuary were littered with garbage and we started to wonder if there was any future for such wonderful creatures as Gharials, Gangetic River Dolphins and our target bird, the Indian Skimmer. Bablu told us that a couple of years back a monsoon-flood caused water of the Betwa River to flow into the Chambal, with this water came fish that had so much pollution in their system that after eating them, more than 1500 endangered Gharials died, an ecological tragedy. Thankfully conservationist of the WWF were able to restore their numbers via a captive breeding program and I am pleased to say that not all hope is lost for these awesome crocodilians. During our boat ride we saw a large number of endangered animals, but from an avian perspective the definite highlight was a group of 25 Indian Skimmers. 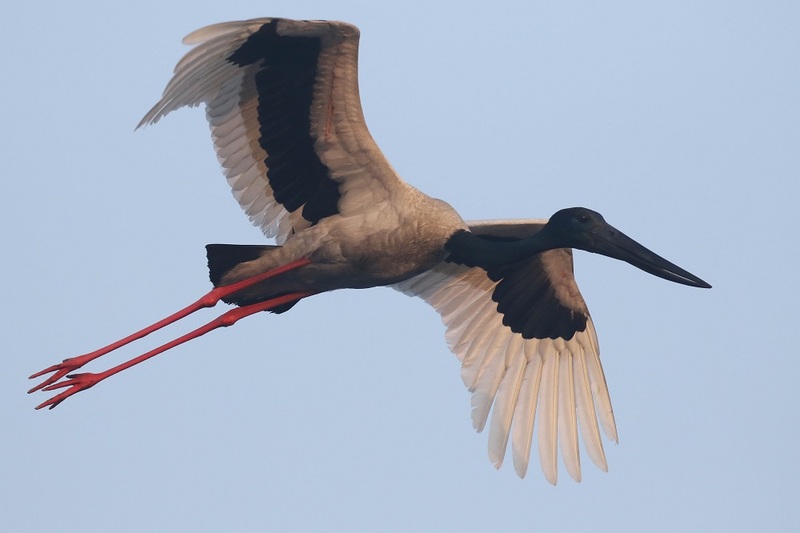 What an amazing experience and I sincerely hope that India's government manages to protect their last remaining river sanctuaries to safeguard these absolutely stunning birds. Erg mooi verslag en een geweldige waarneming van die Cheer Pheasant!! 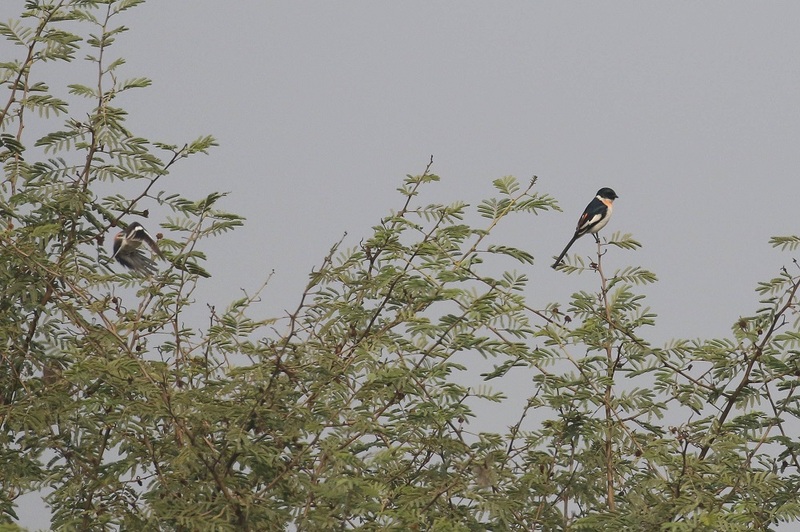 Maar White-bellied Minivet een dwaalgast voor Bharatpur, daar zet ik m'n vraagtekens bij. Zo zag Graig Robson in de winter van 2007 deze soort ook in Bharatpur. En er zijn echt nog meer waarnemingen. Zeldzaam/(zeer) schaars en mogelijk alleen in de wintermaanden en "nomadic" o.k. Ook leuk, die Indische gans voor de skimmers uit. mooie soorten van hoge kwaliteit en on-track man! Wat een plaatjes ook zeg! Wow!